OAISYS® is a leading developer of award-winning call recording and call center management solutions for a range of organizations, from small- to medium-sized businesses to multi-site large enterprises. Our solutions help companies within a variety of industries—including healthcare, automotive dealerships, financial services, and the public sector—attract and retain customers by digitally capturing phone-based interactions for simple retrieval, playback and management. 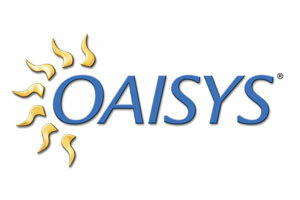 OAISYS voice documentation technology enables organizations to improve risk management, quality assurance, customer retention, dispute resolution and other critical business concerns. OAISYS offers superior integration with the Mitel core business communications portfolio, leveraging Mitel MiTAI and OAI CTI for call control and the Mitel Secure Recording Connector (SRC) for secure call recording interoperability.